Established about 40 years ago by founder and General Superintendent Pastor Williams Folorunsho Kumuyi, the widely-known Deeper Life Bible Church has enjoyed tremendous success, expanding its tentacles across different countries in the world. Having hosted many programs including seminars, workshops, and crusades, which has impacted human lives in various capacity, the time for Abuja — the capital of the most populous black nation in the world — to wallow in the glory and wonders of the supernatural came. The church organized a one-day crusade to be held at the National Stadium, Abuja. Though tagged “A Day of Supernatural Wonders with Pastor W.F. Kumuyi”, the potential success of the program hit a roadblock that only could be solved by human endeavors. The organizers weren’t doing well regards public awareness. However, with the understanding that Caesar should be given what’s Caesar’s, AdHang was called upon to make a way through the barricade. While one of the most famous pastors in Africa is the host of the crusade, the organizers couldn’t reach targeted masses. They tried to convey the crusade’s theme and features to the general public using conventional methods such as handbill distribution. But not so long, they discovered that their plans and efforts weren’t handy enough to pull the needed masses to the 60,491 capacity stadium. The organizers hired AdHang team after a thorough search for online promotion experts in Nigeria; though not after the agency met some certain criteria. AdHang team was mandated to use the best, ethical techniques and online media to bring targeted audience to the program. And AdHang team didn’t fail! AdHang commenced the project that was about creating a massive awareness about the crusade event by informing and educating targeted masses through content marketing. AdHang’s experts took a step further by placing strategic banners across selected internet platforms and created a sense of occasion about the event. AdHang also used search engine and social media sponsored displays, and contextual ads across ten different online discussion forums. To leave no stone unturned, moments before the event kick-off, AdHang launched a round-up promotion with a couple of landing pages to provide latest updates and to serve as event reminders and directions to the crusade venue via a virtual map. Not only did AdHang create a sense of occasion, buzz and discussions about the crusade event across different online platforms and the Abuja environ, but also proffered a solution that reached over 500,000 targeted audience online. On the crusade day, over 70,000 people came to the Abuja national stadium — a 60,481 capacity stadium. As a result, there was an overflow of people, and many had to stay outside. Nevertheless, everyone — those inside and outside the stadium alike — witnessed the wonders of the supernatural! The organizers were euphoric after the event and called AdHang to thank the team for such a fantastic event promotion that produced a result so enormous that it exceeded their expectation. Having experienced AdHang’s publicity expertise by the organization, AdHang has been responsible for awareness and online publicity of virtually all Deeper Life’s big crusades. Deeper Life’s crusades publicized by AdHang are A Night of Divine Intervention, Emancipation Crusade, Total Redemption, God of All Wonders Crusade, among others. All held in national stadium at different periods and witnessed participation of tens of thousands of people. Dynamo Delay is a U.S.-based personal products company, poised to launch its products in the African nation of Nigeria. The Dynamo Delay team was looking for a high-quality promotional campaign for the launch of its product in Nigeria. The problem was, the company’s current website was not Africa-focused at all, and didn’t speak to the local audience. What’s more, the company didn’t yet have a presence on the social networking sites dedicated to Nigeria and the African continent. The company had been searching for local professionals in Nigeria — and later throughout the continent — who had at least 10 years experience of social media services for an African audience, with no luck. In addition, they’d been contacting many agencies and IT professionals to help with the website and back-end development, but none of the local companies had the high international standards the Dynamo Delay team was seeking. After much searching, the Dynamo Delay team found AdHang, choosing the agency for the quality of service and its global code of conduct — as well as its global standards. We began with the design and development of an e-commerce website that incorporated elements of the African experience, thereby attracting the local audience. We also created social media fan pages on sites including Cokoyes, a popular social networking site in Africa, as well as Facebook. In terms of content, we developed a series of articles that addressed the issues target audiences were facing and customers challenges with using the product. We also created different online videos such as the one posted here that addressed users’ needs and encouraged sales conversion. With our strategy, design, and website and social media support, Dynamo Delay’s company leaders felt good about the image it was projecting to the local — and global — community. Today, DynamoDelay Africa is well-positioned to compete in the target marketplace. Dreams cosmetics is an international beauty products manufacturing company that produces quality skincare products like soap, creams and cosmetics specifically tailored to bring out the beauty in the African skin. Their cosmetics ranges for men, women and children are currently being marketed in Nigeria by Top wide ventures and include the Aqualis soap ranges .They recently launched the newest member of this soap ranges; Aqualis African black and needed to create focused awareness to generate results that would guarantee their ROI. In keeping with their image of being at the frontline for innovation in skincare for Africans, the Aqualis African black was launched in Nigeria. This black soap is made of the finest natural ingredients and has proven benefits in clearing skin conditions like eczema and psoriasis and targets different skin types. With this kind of quality, and riding on the quality of the already existing brands, one would think it would be fairly easy for the Aqualis black soap to make its mark in the Nigerian markets. However it wasn’t the smooth sailing the company expected. They quickly realized that the key challenge they faced was the stiff competition. With so many black soap brands already in the market, (including the locally made black soap) and all claiming to be the best at treating skin conditions and giving the softest healthiest skin, it would be quite an uphill task for the new soap brand to make its mark in the already choked and fiercely competitive market. Coupled with the low public awareness and enlightenment on the clear benefits of this soap, they needed a skilled digital marketing team to generate the results they wanted. AdHang assesses the situation and comes up with specific measurable outcomes. After a thorough search for a digital marketing firm that would help to showcase their new launch, the Dreams cosmetics group finally reached out to the AdHang team with the mandate to generate tangible results that could be seen in a couple of months. 1. Public Education on the benefits of using the new soap brand. 2. Constant brand awareness to keep the brands in the Public eye. 3. Clear differentiation of the Aqualis black soap from competition. How did AdHang set out to achieve these? Online Press releases were written about Aqualis soap and published on 300+ big news sites. The soap sale’s content was also written and published on top Nigerian forums. Promotional write up and educative blogposts were placed permanently on 247Healthblog.com and these posts were shared on active Nigerian Facebook groups with hundreds of thousands of members. In less than one month, Aqualis soap now comes up in search engines for some strategic keywords and phrases. There is better awareness of both the Aqualis black soap and the other Aqualis ranges across the 36 states in Nigeria. Nigerian users were and are still being educated about the soap and its benefits and more customers are being recruited daily, as the educative posts remain permanently in the news sites and blogs across the internet. AdHang’s brilliant marketing strategies lifts Rose of Sharon glorious ministries crusade, ‘Lifted’, beyond the expected heights. The Rose of Sharon glorious ministries is an interdenominational Christian fellowship in Nigeria whose overseer is the prestigious Mrs. Folurunsho Alakija, the servant leader. The Ministry organized a 3 day crusade in October 2018, to be held at the National stadium in Surulere Lagos and preparations were in top gear to accommodate the massive crowd that was expected. It was set to be a glorious three nights filled with enrapturing gospel music from popular gospel artistes and packed with the rich bread of life handed out hot and fresh from powerful men and women of God. Subpar marketing strategies to create event awareness. The ministries social media department was in charge of handling all the marketing and promotions for the upcoming crusade and they diligently set about to deploy the use of archaic traditional marketing strategies and suboptimal social media campaigns to create awareness for the event. As the D-day loomed nearer it became obvious to them that the level of awareness generated was too low for the kind of turnout they were expecting and more cutting-edge marketing tools would have to be employed to achieve the desired results. The ministry reached out to the AdHang team for help in creating awareness for this event to generate the maximum possible turnout. 2. The expected number of people was high (the venue being used for the event was the National stadium). In order to meet up to the expectations of the ministry, the AdHang team would have to deploy several high impact online media marketing strategies, all at the same time, to target the largest and busiest awareness sites on the internet and reach the most number of people in the shortest time. 1. Strategically placed a number of Sponsored video and contextual ads, on Facebook and Instagram. 3. Promoted the event on public forums like Cokoye.com and social media sites like Cokoyes.com using forum publications, promotional videos and internet banners. 5. Online press releases on NigeriaONnews.com, a top Nigerian news site. 6. Publicized the event on active Facebook groups once for event awareness, and the second time as a reminder 24 hours before the kick-off of the event. 7. Created online communities’ threads in over top 10 Nigerian online forums, and an event site Eventtogonow.com. A heightened sense of occasion was created in Lagos and Ogun states in Nigeria. The widespread awareness about the crusade also led to more recognition and awareness for Rose of Sharon Glorious ministries within Nigeria. The Event appeared on popular search engines such as google leading to more popularity for the organizers even beyond Nigeria. And the most important outcome was the large turnout of people at the National Stadium, Surulere, Lagos, for the whole three days the crusade lasted for. Mohammed Bin Rashid Al Maktoum city, District one, is an exclusive high-end residential destination situated in the heart of Dubai on Al Khail Road. With its luxurious Villas, palatial mansions and exquisite landscape, not to mention its strategic location at the city’s centre, this residential area was designed for the creme de la creme of Dubai as well as the foreigner, willing to part with some substantial cash to enjoy the best of what Dubai has to offer. In order to create awareness of this classy location to Nigerian investors , the AdHang team was hired by the consulting firm in charge of launching the real estate property -Sulfman consulting Limited, to help create awareness of a three day event being organized to showcase the Dubai properties to strategic investors , at the Hilton Hotel Abuja, Nigeria. There were a number of challenges(chief among them being targeting the right prospects) that the property developers realized would have to be overcome to make for good success at the event , and give the real estate commensurate returns on their investments. The homes in this district were huge investments and not something an investor or home owner would buy on an impulse; as such it would be an exercise in futility to design campaigns that would focus on just reaching the masses in Nigeria. When it became clear to the consulting firm that in order for the real estate awareness event to be successful in Nigeria , strategic marketing campaigns were necessary ;they reached out to the AdHang team for help in developing effective and highly targeted campaigns focused on ideal prospects. After a thorough situational and SWOT analysis of the current challenges, the AdHang team came up with three key performance indicators (KPIs) that needed to be achieved in order to record good success for the program. AdHang developed real estate marketing strategies using the right content marketing tools and careful selection of digital marketing components, to achieve a targeted and highly impactful marketing campaign. AdHang, helped Top Natural Healthcare create customers for its herbal medicine for shrinking and eliminating fibroids. The client had a very tight budget and had no effective marketing campaign to attract customers to its natural medicine. Top Natural Healthcare suffered from lack of sufficient customers, or even awareness of its natural herbal fibroid medicine. The company also was plagued by low budget and a deficient marketing campaign that did not complement its product in its price range. Top Natural Healthcare contacted AdHang, using AdHang’s template that helps client identifies its mission and target audience throughout the African continent. This template also outlines the client’s marketing objectives, which helps AdHang professionals understand the client’s goals, while assisting the client to express their objectives accurately. AdHang performed a SWOT (strengths, weaknesses, opportunities, and threats) analysis to become more intimately familiar with the real, total problem. The SWOT evaluation also identified some potential solutions. AdHang then designed some headlines and effective advertising message plans. We designed some original banners that will appeal to target prospects and the Top Natural Healthcare audience. The client believed a one day marketing blast campaign would be sufficient to get the message out to the target audience; their severely limited marketing budget contributed to the brevity of this strategy. To counteract the short life of the marketing campaign, our professionals published an information article in thousands of websites to better stimulate traffic within 24-hours. Our marketing message efforts included search engine ads, social networking posts, contextual ads, and online forums. Our professionals published educational articles on thousands of websites to ensure high-level saturation of the Top Natural Healthcare brand of natural medicines. Most people in the world were not even aware of Top Natural Healthcare and its natural solutions to troubling health issues. 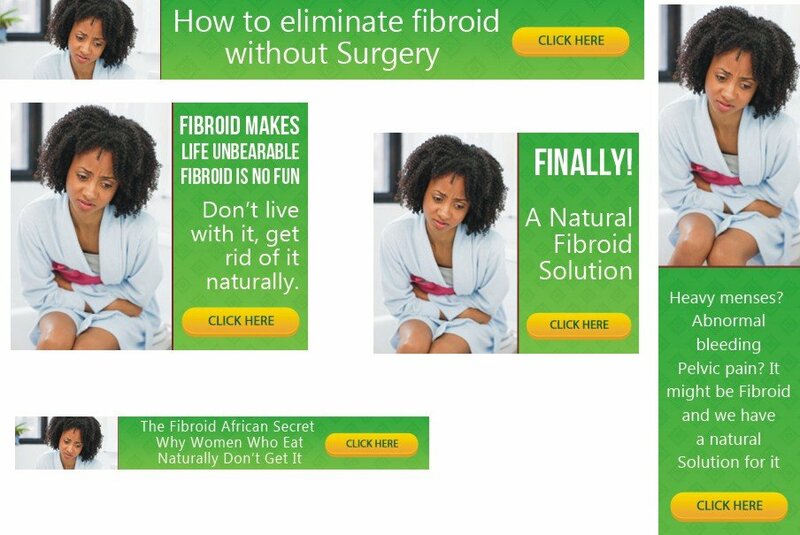 The product we promoted was a proven natural approach to rid women of the often painful fibroids in or around the uterus. This growth often inhibits a female’s fertility, particularly disturbing appearance of fibroids when women hope to become pregnant and bear children. This non-invasive approach, rids the female body of fibroids without any surgical procedures. We also highlighted a report that explained the natural solution offered by Top Natural Healthcare. All that was necessary for visitors to do was to fill out a simple (three lines) form to gain instant access to the information in the report. To categorize this as a “marketing blitzkrieg” is accurate. We had to accomplish goals that normally take weeks or months to become fruitful in 24 hours. The 24-hour internet marketing campaign resulted in 111 sign ups. There now was permanent quality content about the Top Natural Healthcare site and its service level on literally thousands of platforms around the world. The Top Natural Healthcare brand was enhanced. Its trust and recognition level increased significantly. If we could do this for this client in 24-hour campaign, you can comfortably infer what AdHang could do for you to reach brand enhancement and increased revenue. Atlasitalianigeria LTD is a partner of AtlasItalia of Italy, a leading manufacturing and construction company and based in Lagos Nigeria. Over the years, they have established themselves as a trustworthy seller and supplier of Portacabins in Nigeria. They are highly recognized for their design standards, and superior finish portable cabin products on time and on budget. Atlasitalianigeria encountered a problem: they lost their position on search engine results and were in dire need of how to enhance their ranking in important keywords, both on Google and Yahoo. This problem obviously resulted in low traffic to the company’s website and decreased rate of inquiries for their services. To make the problem worse, their competitors were getting ahead of them. Atlasitalianigeria LTD was looking to hire a search engine optimization company in Nigeria with vast experience in the field, and they settled for AdHang. So, the company’s MD contacted AdHang.com to help them in search engine optimization of their Nigeria’s website and other digital marketing services in Nigeria. Upon taking on the job, AdHang embarked on a website audit. This was to help the agency understand the performance of the various elements of their webpages. The audit provided insight into their website’s traffic ranking, bounce rates and search percentages, and a couple of other factors. Next was to put in place effective strategies that would provide them with a distinct advantage, and make their website to work better. Conducting a competitor analysis was our next point of action. This analysis was aimed at discovering the strengths and weaknesses of the competitors within their market. This helped in creating a marketing strategy that will generate an asset or skill their competitors did not have, and thus provided them with a distinct and enduring competitive advantage. With this, together with our extensive research, we came up with highly competitive keywords/phrases to bring the website back on the map. We also improved the different elements and content of their website (on-page SEO) in order to meet the requirements for effective search engine optimization. We also implemented various promotion methods outside the boundaries of their website (off-page SEO). After a successful execution of AdHang’s strategies, there was an improvement on their ranking on both Google and Yahoo. They ranked top 10 on both Google and Yahoo search engines on strategic 8 competitive keywords and phrases. This resulted in an increase in the number of visitors per day. Actually, their website registered a 102.90% and 85.1% increase in site unique visitors and number of visits respectively. Also, page view increased by 79.70%. Consequently, this increased the rate of inquiries for their services. Working with Atlasitalianigeria ltd was just another opportunity to prove that AdHang is your one-stop destination for digital and webmarketing solutions in Nigeria and of course Africa’s continent. To see the complete approach AdHang uses click here.